RIT ranked seventh in the “Best Universities – Master’s (North region)” category in the annual <i>U.S. News &amp; World Report: America’s Best Colleges</i>. Rochester Institute of Technology is again recognized for educational quality and value in the annual U.S. News & World Report: America’s Best Colleges. Since the magazine began ranking colleges in 1983, RIT has consistently been listed among the top regional universities. 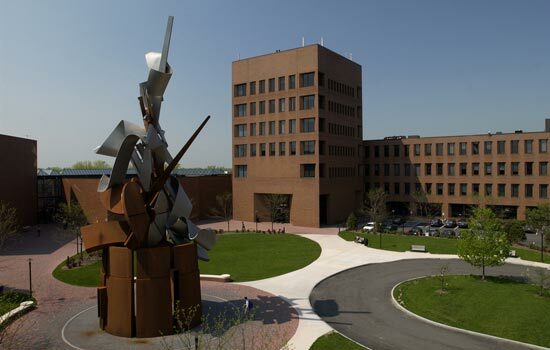 RIT ranked seventh in the “Best Universities – Master’s (North region)” category in the 2013 report. RIT also received the second highest peer assessment score, which is a survey of presidents, provosts and deans from other universities judging a school’s academic excellence. In the “Great Schools, Great Prices” category, RIT ranked third among master’s universities in the North. The formula used to determine which schools offer the best value relates to a school’s academic quality to the net cost of attendance for a student who receives the average level of financial aid. The higher the quality of program and the lower the cost, the better the deal, according to U.S. News. In the “Focus on Student Success” category, RIT was listed as one of only 12 colleges nationally recognized for excellence in the “Internships” listing. RIT’s cooperative education program, which began in 1912, remains one of the largest in the nation and has been recognized every year since U.S. News began the category in 2002. Among the best programs for undergraduate business, RIT ranked 56th in the latest survey. RIT is also in the top 64 undergraduate engineering programs among universities where the highest degree is a doctorate.